For this weeks Book To Movie Monday I have decided to cover Life Of Pi. 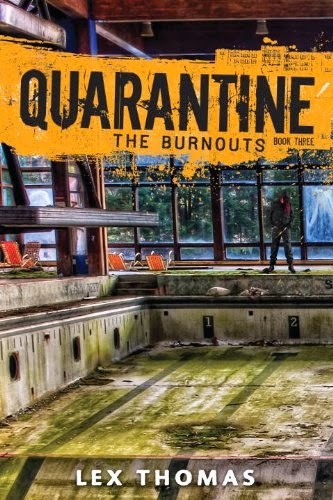 Now for a little back story in case some of you aren't familiar with the Novel. Life Of Pi is a novel written by Author Yann Martel. 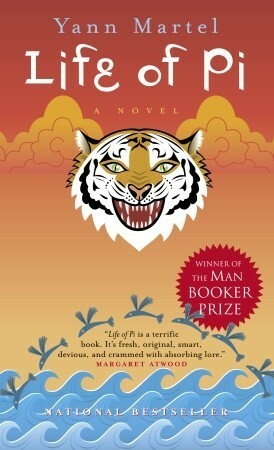 Life Of Pi was published September 2001 by Knopf Canada. Yann Martel has stated that inspiration for the book came from reading a Novella about Jewish-German refugee who crossed the Atlantic in a boat with a Jaguar. Piscine Molitor Patel- Pi for the majority of the book is the narrator of the story telling his tale about a shipwreck that changed his life. He is shy, middle aged and graying and has a strong love for telling stories. Pi is a devout believer in God and it is his strength in that belief that helps him survives adrift at sea. Richard Parker- A 450 pound Bengal tiger and Pi's companion while he is stuck at sea. In the Book many of Pi's life lessons are learned from mentors as well as family this is established early on. In the Movie Pi is seen being greatly influenced by his family and most of the external mentors are cut out. In the Book Pi does not have a love interest. In the Movie Pi falls in love with a girl in his dance class and is devastated when he has to leave her behind. In the Book Pi is very knowledgeable about animals and quickly asserts his dominance over Richard Parker. In the Movie Richard Park is very aggressive and Pi gives up trying to tame him. In the Book when Pi starts to go crazy from lack of food and water he imagines that he can talk to Richard Parker. In the Movie this whole exchange is omitted. In the Book Pi encounters a man while at sea. Desperate for food the man attacks Pi and is then mauled by Richard Parker. In the Movie this is omitted. In the Book the disaster at sea happens pretty quickly. In the Movie it is a slow build letting us invest in the characters before disaster strikes. In the Book Pi has to deal with many unpleasant situations from decaying corspes to intestinal issues. In the Movie these are pretty much omitted and most likely due to the PG rating. In the Book Pi goes into great, explicit detail about his sufferings. In the Movie while were told a great deal it is nowhere near as detailed as the book. This is only a handful of the differences but some of the more important ones. Overall I think that the book is better because it really goes into detail about the events concerning Pi's time at sea. I also feel that the PG rating is a hindrance and would of been better served at the very least being PG-13. Definitely check out both if you haven't already. Let me know which you like better and why in the comments down below. I love reading your responses.